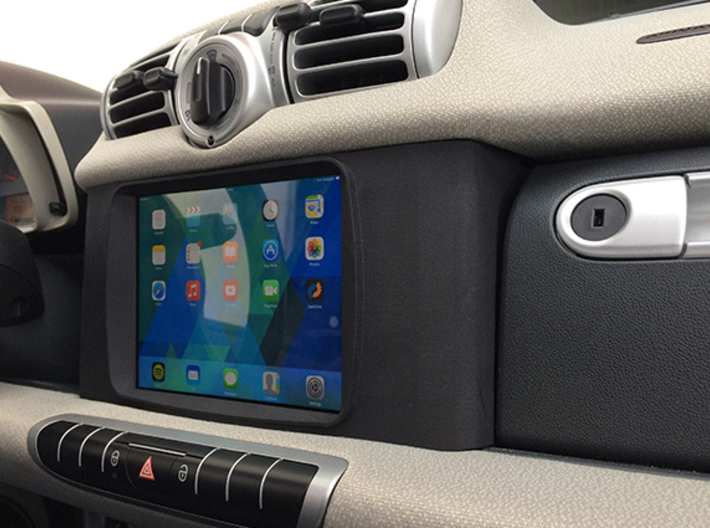 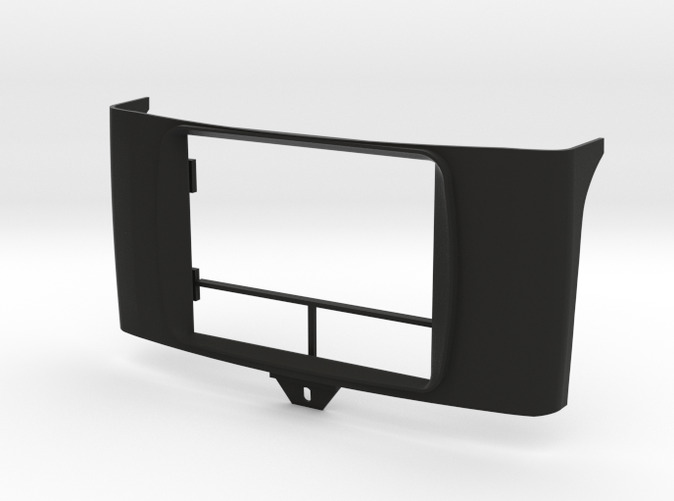 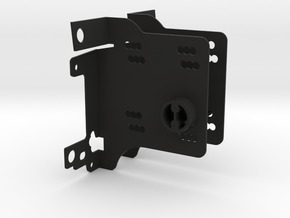 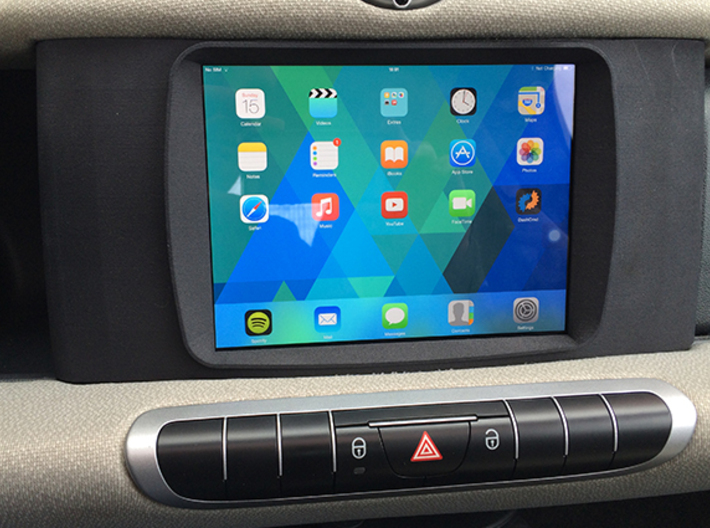 This is the front mask for holding an Ipad Mini to the 2010 and after Smart Fortwo dashboard. 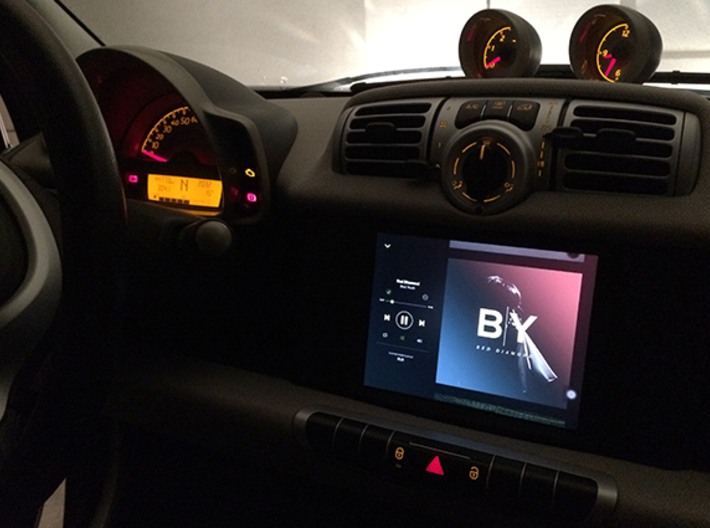 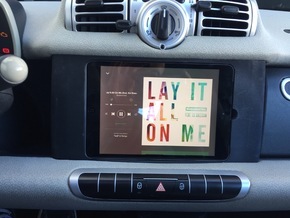 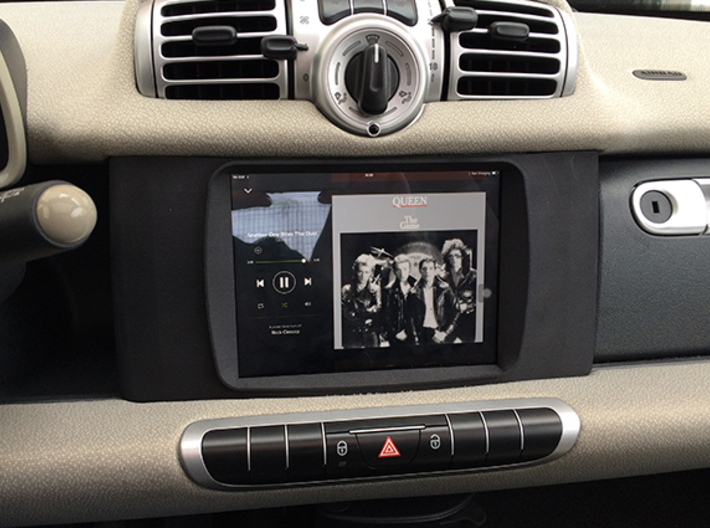 Its non removable and fits like original Smart pieces, no need to adapt anything in the car. 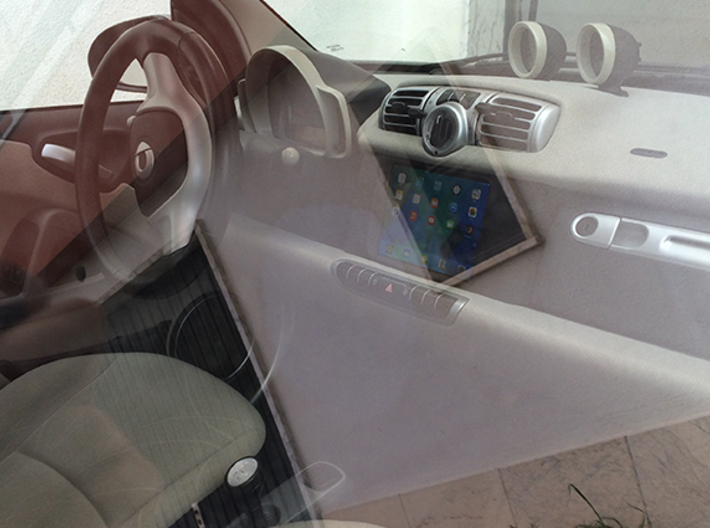 Never tested with iPad mini 4 , but since it is thinner it is likely that it won't fit as nicely.